We can't keep quiet any longer, we had the opportunity to sit down with Mark Alpert, who gives us an inside look at the third book in The Six series, THE SILENCE. Mark, what was your inspiration for writing THE SILENCE? When I was a kid, I loved science-fiction author Isaac Asimov. I especially loved Asimov’s I, ROBOT, which inspired a lifelong fascination with robotics. When I was an editor at Scientific American, I wrote and edited many stories about robots, including articles about the Aibo robotic dog and the PackBot military drones. So when I began to write science thrillers for young adults, it seemed very natural to imagine a series of books in which teenagers get to experience all the advantages and disadvantages of living inside robotic circuitry. This trilogy (THE SIX, THE SIEGE, and THE SILENCE) will appeal to readers who enjoyed THE MAZE RUNNER series. How long did you work on THE SILENCE? What do you hope readers will take away from THE SILENCE? 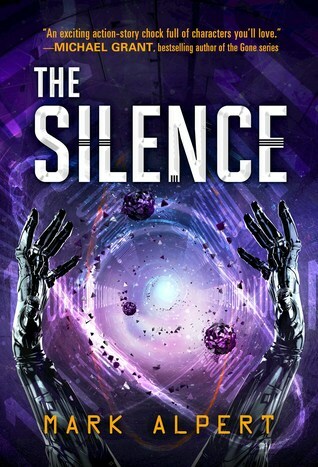 I hope my readers will be totally blown away and freaked out by the outrageous scientific concepts in THE SILENCE. But at the same time, I also hope they’ll fall in love with the characters, especially Adam, the hero-narrator. After writing three books from Adam’s point of view, I’ve become very fond of the kid. I usually work at home. Writing novels is my full-time job, and I spend at least eight hours a day on it. I don’t listen to music; I need total silence to concentrate. Well, not total – I live in New York City, and it’s never totally silent here. I drink a lot of coffee while I’m writing. Probably too much. Right now I’m writing my next novel for adults, a science thriller that will be published by Thomas Dunne Books/St. Martin’s Press in 2018. The book is about an out-of-control American president who tries to use gene editing to create an army of super-soldiers. The working title is SUPERHUMAN. A self-described lifelong "science geek," Mark Alpert majored in astrophysics at Princeton University, writing his undergraduate thesis on an application of Einstein's theory of relativity. After earning an MFA in poetry at Columbia and working as a reporter, he became an editor at Scientific American, where he simplifies bewildering scientific ideas for the magazine's readers. 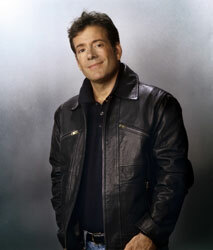 Mark lives in Manhattan with his wife and children. Have you had a chance to read THE SILENCE yet? Were you blown away by the scientific concepts in THE SILENCE? What novel ideas have come from your past jobs? Share your thoughts about the interview in the comments!